Ignacio Zulueta blogs for TBA this week about his participation in the inaugural Atlas Playwrights program. His short dramedy, 3 Sisters Watching Three Sisters, opens September 15 at the 2013 Bay One Acts Festival at Tides Theatre, and his full length comedy, The Fellowship, opens at AlterTheater in San Rafael in November. Nancy Carlin is off to University of Virginia for a month to be an artist-in-residence. 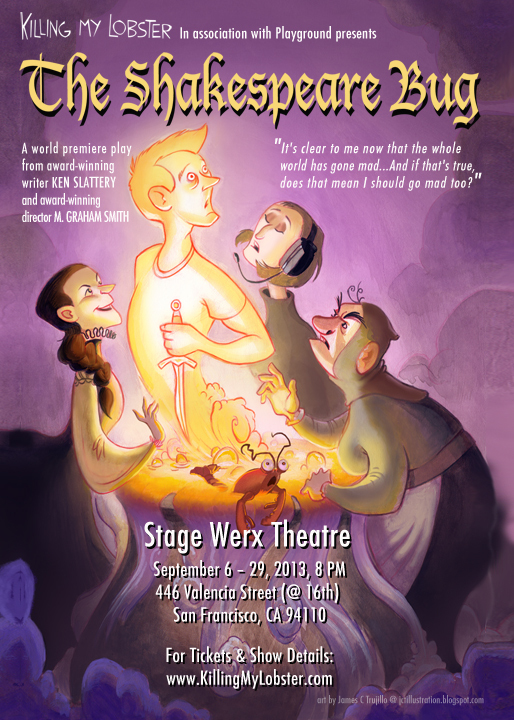 Tim Kniffin is currently performing in Comedy of Errors with Shakespeare Napa Valley. Anne Darragh is in Good People at Marin Theatre Company, running August 22-September 15. Anthony Williams will perform in The Witch by Thomas Middleton as part of Free Shakespeare in the Park with SF Shakespeare Festival on August 25. Katie May’s MANIC PIXIE DREAM GIRL was featured in the New York International Fringe Festival, August 9-16, directed by Jon Tracy and featuring Michael Barrett Austin and much of the original San Francisco cast.